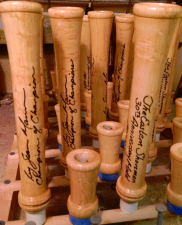 In 1985, Sean Mann and his “Eastern Shoreman World Champion Goose Call” set standards for Realism, Reliability and Results in the field that have not been met by any other calls. 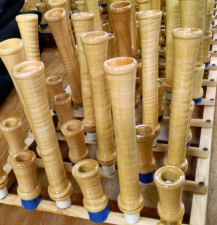 “The Eastern Shoreman World Champion Goose Call” is NOT A “FLUTE-TYPE” Call. 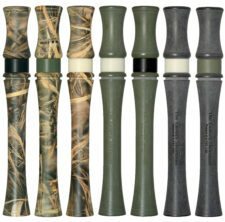 These calls offer a spectrum of tone, volume and realism that is not attainable from any other call. Every call is hand tuned by World Goose Calling Champion of Champions Sean Mann. The most realistic goose call made, and the easiest to use! Unlike “Flute Calls” the patented design of the Eastern Shoreman creates the full range of the Canada goose’s voice. From full “throaty” lows to bright “snappy” highs, these calls will do it all.